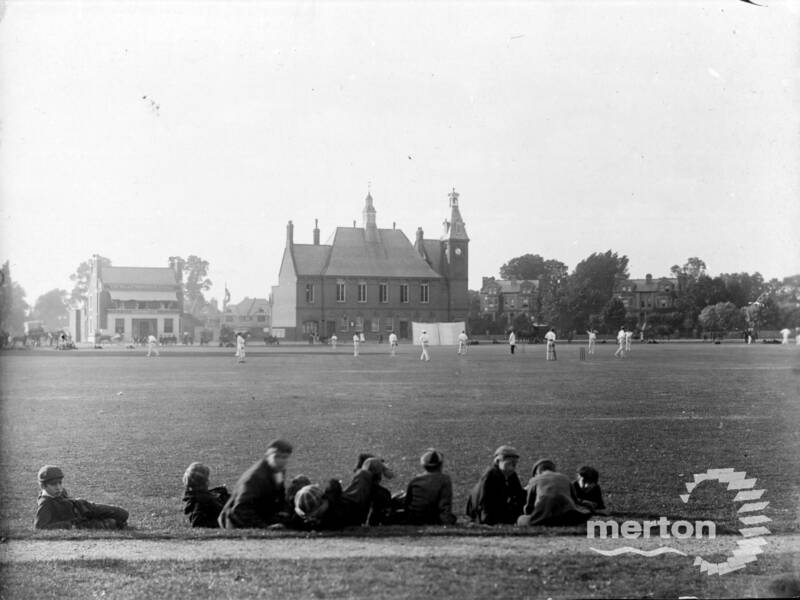 Mitcham can boast one of the oldest cricket grounds in the world. 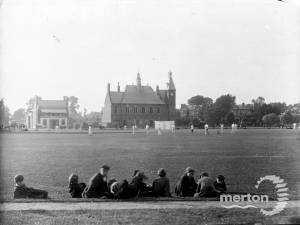 Described as a “Nursery of English Cricket”, The Cricket Club has nurtured generations of local, county, national and international players. At this time on the Cricketers Pub (next to Vestry Hall), the name of James Southerton, cricketer and licensee, still appeared above the door. 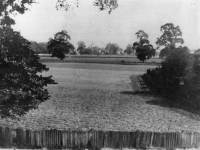 Prior to the construction of the cricket pavilion in 1904, the match scorer was often stationed on the pub balcony, as it afforded the best view of the pitch. Notice the grand properties, far right these have now been replaced by post-war housing developments, including Glebe Court.